Love Stories. Tami Workentin & James Pickering; Photo by John Nienhuis. Milwaukee, WI. …For the holiday season, Milwaukee Chamber Theatre presents three classic one-acts by three celebrated writers, LOVE STORIES, November 25 – December 20, 2015. The production features VILLAGE WOOING by George Bernard Shaw, THE JEWISH WIFE by Bertolt Brecht and HERE WE ARE by Dorothy Parker. Real-life married couple James Pickering and Tami Workentin star in LOVE STORIES under the direction of Paula Suozzi. LOVE STORIES performs in the Broadway Theatre Center’s Studio Theatre in Milwaukee’s Historic Third Ward. The work of three insightful and incisive wordsmiths is showcased in LOVE STORIES. 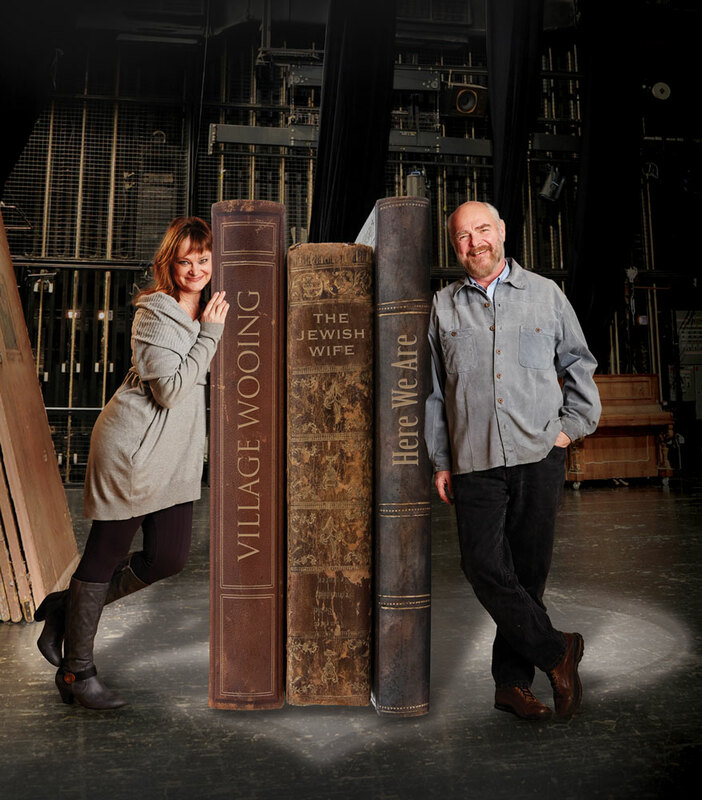 Playwright George Bernard Shaw returns to the MCT stage with VILLAGE WOOING. In this charming comedy, from the deck of an ocean liner to a village shop, a reclusive travel writer is pursued by a chatty phone operator on a mission to marry him. In Bertolt Brecht’s THE JEWISH WIFE we learn how Hitler’s rise to power effects a marriage. In the final one-act HERE WE ARE by Dorothy Parker a newlywed couple is travelling by train to their honeymoon – but not without revealing a few of their insecurities first. In MCT’s production of LOVE STORIES, the lines of fiction and reality blur deliciously as real-life couple James Pickering and Tami Workentin rehearse three classic one-act plays. While they juggle the complexities of their own partnership, whimsical wordplay leads to verbal sparring, onstage and off, but ultimately love conquers all in this loving tribute to life in the theatre. James Pickering and Tami Workentin perform in their first show together since their marriage in 2013. They first met in 2011 during their only previous stage appearance together in Next Act Theatre’s THE EXONERATED. 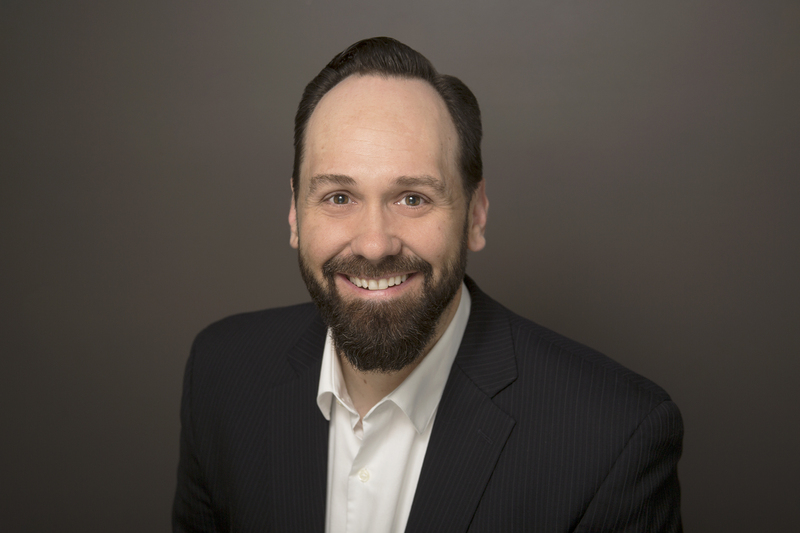 Both veteran Milwaukee actors, Pickering is best known as a long time Milwaukee Repertory Theater company member and Workentin has worked with many theatres in Milwaukee including numerous shows with MCT. George Bernard Shaw (1856-1950) was a Nobel-Prize-winning playwright, critic, and passionate socialist whose influence on Western theatre, culture and politics stretched from the 1880s to his death in 1950. He wrote more than 60 plays including PYGMALION, ARMS AND THE MAN, MRS. WARREN’S PROFESSION, MAJOR BARBARA and MAN AND SUPERMAN. VILLAGE WOOING marks the first time a George Bernard Shaw play has been performed by Milwaukee Chamber Theatre since MISALLIANCE in 2005. MCT was co-founded by two great fans of Shaw, Montgomery Davis and Ruth Schudson. MCT’s inaugural production in 1975 was his DON JUAN IN HELL and for twenty years (1983-2002), MCT was the only theatre company in the United States to produce an annual Shaw Festival. MCT previously produced VILLAGE WOOING in 1981. Bertolt Brecht (1898-1956) was a German poet, playwright and theatre director. He is best known for THE THREEPENNY OPERA (with composer Kurt Weill), MOTHER COURAGE, and THE CAUCASIAN CHALK CIRCLE. Dorothy Parker (1893-1967) was an American poet, short story writer, critic, satirist and screenwriter as well as a founding member of the Algonquin Round Table. She co-wrote the film A STAR IS BORN with her husband Alan Campbell. Paula Suozzi makes her MCT directing debut with LOVE STORIES. The former Artistic Director of Milwaukee Shakespeare and Associate Artistic Director of Skylight Music Theatre, her directing credits include work with Illinois Shakespeare Festival, the Metropolitan Opera, Lyric Opera of Chicago, Houston Grand Opera, Florentine Opera Company and Forward Theater. LOVE STORIES is a collaboration with the UW-Milwaukee Theatre Department. Professor Richard Graham will be the Scenic Designer with alumnus Chad Abramowski as Assistant Scenic Designer. Three current UWM students are involved with the show, Acting Intern Robert Knapp, Acting and Dramaturgy Intern Erika Kirkstein-Zastrow and Stage Management Intern Megan Linzmeyer. This collaboration is an example of MCT’s mission to nurture the next generation of theatre artists. For LOVE STORIES Milwaukee Chamber Theatre is partnering with Tippecanoe Presbyterian Church in BayView to support their Divine Intervention ministry for the homeless programs. Actors Pickering and Workentin are active supporters of the church’s homeless work and brought their charity programs to MCT’s attention. During the run of LOVE STORIES we will be collecting items for the homeless including warm clothing, non-perishable food items and dry goods, as well as $5 and $10 gift cards to Target and McDonalds. –Pre-performance ViewPoints: Join us for an insightful pre-show presentation by Carthage College professor Neil Scharnick about LOVE STORIES playwrights Shaw, Brecht and Parker. This free, pre-show presentation is on Wednesday, December 2nd at 6:30 p.m. in the Studio Theatre. –Pre-performance Talk Theatre: MCT Producing Artistic Director C. Michael Wright will lead lively and informative chats with Costume Designer Ellen Kozak on Wed. Dec. 2nd and with Scenic Designer Richard Graham on Wed. Dec. 9th. Both Talk Theatre discussions will begin at 12:00 noon in the Skylight Bar & Bistro. –Post-performance Talkbacks: Post-show discussion with the artists following performances on Thursday, December 3rd, Thursday, December 10th and Thursday, December 17th. LOVE STORIES performances will take place November 25 – December 20, 2015. (Opening Night: Friday, November 27) in the Broadway Theatre Center’s Studio Theatre, 158 N. Broadway in Milwaukee’s Historic Third Ward. Tickets are available Monday through Saturday from noon-6:00 p.m. at the Broadway Theatre Center Box Office, 158 N. Broadway, or by phone at (414) 291-7800. Tickets can be purchased online – 24 hours a day at milwaukeechambertheatre.com. Group, student and senior discounts are also available. Season tickets are still available and can be purchased by calling (414) 276-8842. For more information, visit milwaukeechambertheatre.com. LOVE STORIES is co-sponsored by John E. Holland and Lloyd & Mary Ann Gerlach. Milwaukee audiences are familiar with James Pickering as a long time Milwaukee Repertory Theater artist where he has performed in over 200 shows, including the role of Ebenezer Scrooge in 14 productions of A CHRISTMAS CAROL. Other notable shows at The Rep include SEAFARER, COPENHAGEN, THE FRONT PAGE, AH WILDERNESS, GLENGARRY GLEN ROSS and TRANSLATIONS. His only previous Milwaukee Chamber Theatre appearance was in the 1986 production of THE PHILANDERER. Other recent work includes American Players Theatre, Door Shakespeare, Renaissance Theaterworks’ THE KRUETZER SONATA, Next Act Theatre’s THE EXONERATED and THREE VIEWS OF THE SAME OBJECT, and Optimist Theatre’s THE TEMPEST. He is a voice-over talent as well, his most notable work being the narration of the Emmy Award-winning The Making of Milwaukee for PBS. He has been married to actress Tami Workentin since 2013. Tami Workentin is back on the MCT stage after directing the trilogy of ‘Jeeves and Bertie’ plays, JEEVES INTERVENES, JEEVES IN BLOOM and JEEVES TAKES A BOW. Past acting credits with MCT include THE SUBJECT WAS ROSES, PICNIC, THE SUM OF US, WELL, KIMBERLY AKIMBO and BRIGHTON BEACH MEMOIRS. Last season she was seen at Milwaukee Repertory Theater in GOOD PEOPLE and at Next Act Theatre in WELCOME HOME, JENNY SUTTER. She has also performed with Renaissance Theaterworks, Milwaukee Shakespeare, First Stage, Goodman Theatre, Court Theatre, Organic Theatre, Bailiwick Repertory Theatre, Orlando Shakespeare Festival, Fort Worth Shakespeare in the Park and Taproot Theatre. She married actor James Pickering in 2013. Paula Suozzi was Artistic Director of Milwaukee Shakespeare and the Associate Artistic Director of Skylight Music Theatre. She directs plays, operas and musical theater and her credits include ELIZABETH REX at Illinois Shakespeare Festival, EUGENE ONEGIN Houston Grand Opera, DER FLIEGENDE HOLLÄNDER at Florentine Opera Company, DIE MEISTERSINGER VON NURENBERG at Metropolitan Opera, LE NOZZE DI FIGARO at Lyric Opera of Chicago and LOVE STORIES at Forward Theater. She has also directed at Grand Theater, Geneva Grand Opera, Canadian Opera Company and Milwaukee Shakespeare. This is her MCT debut. Founded in 1975, Milwaukee Chamber Theatre (MCT) produces intimate and accessible theatrical works that engage and challenge the audience, while employing and nurturing principally local theatre artists. 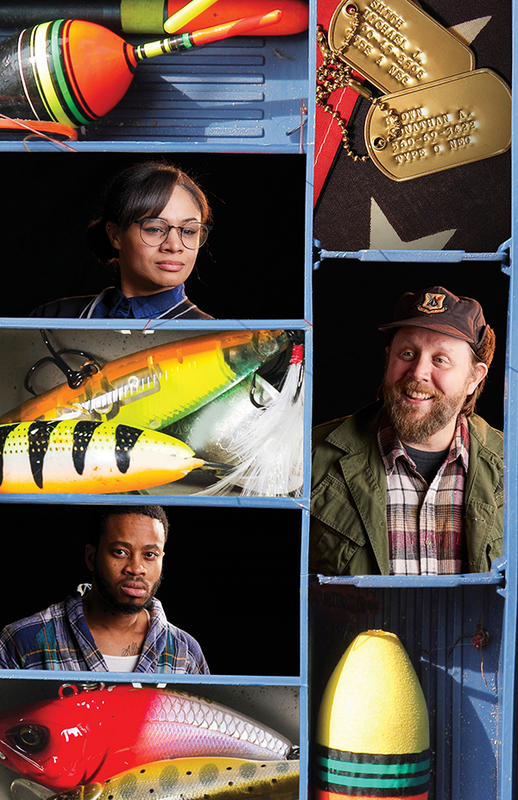 Under the leadership of Producing Artistic Director C. Michael Wright and Managing Director Kirsten Mulvey, Milwaukee Chamber Theatre performs at the Broadway Theatre Center in Milwaukee’s Historic Third Ward. Only MCT’s third-ever AD, Hazelton will join in an transitional role in July 2019 before official hire in 2020.